Texas businesses who are not currently on a fixed electricity contract could face harsh price increases this summer due to expected shortages in power wholesale markets. The shortages and price fluctuations to follow would be a result of the recent closure of three large coal-fired power generation plants. 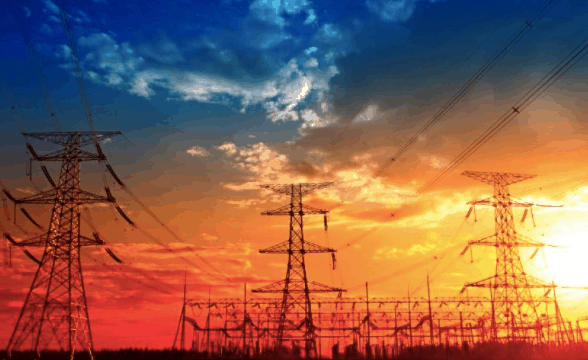 As shortages in power supply reach dangerously low levels during peak summer hours, prices in the 24 hour a day traded wholesale electricity markets can drastically increase in minutes effecting customers who are not locked into a fixed contract. Wholesale electricity prices in Texas are historically higher in the summer as the hot months force many consumers to lower their thermostats. While the hot summer months are predictable in Texas, the consumption surge is not always as easily calculated. The Texas population continues to grow rapidly gaining many new citizens from northern states with high state income taxes; Texas offers a warmer climate with no state income tax. There will be many people who will experience the dreadfully hot summer for the first time and will crank up their thermostat in June before seeing the damage on the July electric bill. Even customers who have resided in Texas for years sometimes act irrational when that first heat wave arrives. Many Texas businesses have purchased their electricity on variable rate products tied directly to the wholesale power markets. These products offer low prices when the market is stable, which has been the case over the last several years. However, despite the calmness in the market in recent times, there is no guarantee from the electricity providers offering these rate products that the calmness will continue. If wholesale energy prices spike up by 75% due to shortages, those costs will get passed onto a business customer who is on a variable rate product. The precedent for such conditions does exist. Thousands of business customers saw their electric bills triple in the summer of 2008 as wholesale rates spiked up, effecting consumers on an index rate contract. From the time Texas deregulated their electricity market in January of 2002 to the spring of 2008, wholesale energy prices remained fairly predictable as Texas enjoyed large supply reserves. Reacting to the market conditions, electricity providers started offering business customers index rate products that were tied to the wholesale market as the average price outperformed the security of fixed rates during this time. When prices finally spiked violently in the summer of 2008 business customers finally tasted the risk associated with those index rate products. Electric bills in July through September of 2008 were more than double for many business customers than earlier in that year due to the price fluctuations. Similar price fluctuations are now expected to occur in the summer of 2018. The easiest way to avoid this risk is for businesses to enter into a fixed rate electricity contract. Low fixed business electricity rates will protect customers from the volatility and overall higher wholesale electricity prices expected to occur in the summer. Business customers can call ElectricRate.com and a personal account manager will prepare a detailed fixed rate comparison of several Texas electricity provider offers. They can also shop and compare our business electricity rates below that are updated daily and provided by electricity providers who are licensed by the Texas Public Utility Commission. All of our business electricity contracts are fixed rate contracts designed to give businesses low electric bills with the least amount of risk associated with market fluctuations.